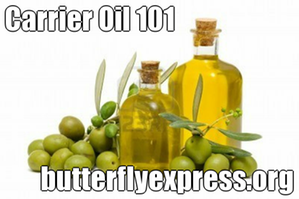 What is a carrier oil and do I need one? Which carrier oil is best? Carrier or base oils are often applied in conjunction with an essential oil. The common industry term for carrier oils is fixed oils. These oils are made from vegetables, nuts, or seeds and often have therapeutic properties of their own. The carrier oils used in therapeutic settings should be cold pressed and organically grown rather than produced by chemical methods. This is an important distinction, as some of the carrier oil will be absorbed into the body along with the essential oil. Some of the more common carrier or base oils are as follows: almond, grapeseed, sunflower, olive, jojoba, safflower, apricot, avocado, borage, carrot, coconut (both fractionated and whole), corn, evening primrose, wheat germ, and arnica. Carrier oils are used for several different reasons. One major reason is because pure essential oils are often too concentrated to be applied undiluted to skin. Adding essential oils to a carrier also allows the oil to be spread over a larger application area and to be absorbed more evenly. Many essential oils are quite expensive, and because they are so highly concentrated, one or two drops may be all that you need. The use of a smaller quantity is often more beneficial than a larger quantity and is certainly less likely to cause any type of reaction. My husband explains one of the needs for carrier oil when using essential oils in this way. Imagine putting an alcohol-based primer on hot asphalt prior to painting it. That would be almost impossible since the alcohol would evaporate almost before it touched the road. 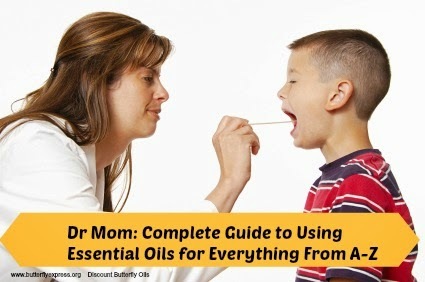 Essential oils behave in a similar manner. They are made of several different constituents, some of which evaporate at lower temperatures and faster rates than others. Place these essential oils on the skin (90 - 95 degrees) and the higher, more volatile notes are gone before they can be absorbed. A carrier oil stabilizes the essential oil, holding onto all the constituents until they can be absorbed. The chemical composition of the oil remains intact. Fractionated coconut oil is another popular choice. Like almond oil, coconut is inexpensive, absorbs quickly, has almost no aroma at all and has the added advantage of a long shelf life at room temperature without rancidity. Grapeseed oil is another excellent choice, as is safflower oil. Safflower, however, tends to go rancid if not refrigerated. Sweet almond, grapeseed, and safflower can be used by themselves or in combination with small percentages of other oils. Plant-based salves, like the Miracle Salve or the BHM salve marketed by Butterfly Express, llc, are also excellent mediums for applying essential oil. The essential oils should, as always, be added to small portions of the salves and always added as close to the time of use as possible. Certain carriers should never be used by themselves. Because of their characteristics they are better as part of a blend of carrier oils with their proportions kept to 10% to 20%. Some of these oils are borage, carrot, evening primrose, black cumin, and even jojoba. Very dry skin or skin that has been severely traumatized can greatly benefit from the use of these oils as part of a carrier. Arnica oil is an oil tincture made by soaking fresh arnica blossoms in almond oil. It is used for bruising, swelling, and/or inflammation with amazing results. Arnica oil can cause swelling in exposed muscle tissue, so it is never used on open wounds or deep abrasions. YET ANOTHER REMINDER Never mix your pure essential oils into a carrier oil and then store them that way! The therapeutic properties of the oil break down rapidly when mixed with vegetable protein oils and you are left with a massage oil of low quality that does not even smell as good as the original essence. Instead, place a small amount of the carrier in the palm of your hand, then add 2 to 4 drops of the essential oil and apply. Following this method allows your essential oils to stay vibrant for long periods of time. It also makes your bottle of essential oil last much longer. Each carrier, or protein oil as they are sometimes referred to, has its own characteristics and ways of reacting to the various essential oils. For example, olive oil, jojoba oil, and avocado oil, while excellent for use in skin and beauty care because of their emollient and nourishing properties, are less easily absorbed and not usually used by themselves. Sweet almond oil is easily the most popular for many reasons. It is inexpensive and absorbs quickly, usually in 5 to 10 minutes. Almond oil has a light, non-offensive aroma. Black cumin seed oil has been used as a digestive aid (flatulence, colic, indigestion, and constipation), as a medicine for colds, asthma, bronchitis, deep coughs, headaches, toothaches, and infections. Black cumin is also used traditionally for circulatory ailments, to strengthen the urinary system and aid in the removal of toxins and excess fluids. This oil is also used as an immune stimulant, and to clear lymphatic congestion. It is listed in many texts as a nervine for the relief of nervous exhaustion, tiredness, debility, insomnia, lethargy, and migraine headaches. Black cumin is used for rheumatism and related inflammatory diseases and to increase milk production in nursing mothers. Black cumin makes an excellent carrier oil for skin conditions such as eczema and boils. It is recommended in protocols for hepatitis. Scientific research into the individual components of this oil indicate that it protects from histamine-induced bronchial spasms, explaining its use in asthma, bronchitis, and coughing; the presence of beta-sitosterol, an anti-tumor sterol, gives credence to its traditional use in treating abscesses and tumors of the abdomen, eyes, and liver; studies show that black cumin is effective in treating opioid dependence; researchers at the Kimmel Cancer Center in Philadelphia have used that one ingredient, thymoquinone, to block pancreatic cancer cell growth and killed the cells by enhancing the process of programmed cell death (apoptosis). These studies are in the very early stages, but are showing great promise, perhaps as a preventative for those at risk for cancer. Black Cumin, like the carrier oils referred to above, is too "heavy" to be used alone. It is best mixed about 1 part black cumin to 4 parts of almond or grapeseed oil, etc. Distilled water is a great carrier for essential oils. Even bath water will give astonishing results. Water is especially effective in carrying essential oils under the nail bed when fighting a toe-nail fungus. The bath is one of the best ways to carry anti-inflammatory or pain relieving oils to the deep tissues of the body. Do you need a carrier oil when using the blended oils? Hi Vicky, you do need a carrier oil with Butterfly blended oils, as with the single oils. Our blends contain pure essential oils without any carrier type oils being added to the blend. Some companies add carrier oils to their blends, so always read the labels!